The towpath will reopen from 5pm on Friday 9 June until after the Edinburgh Canal Festival. 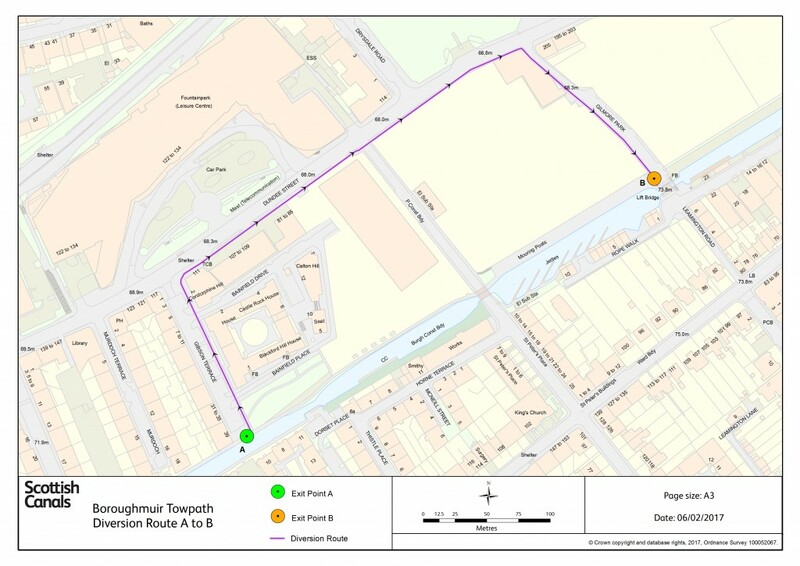 The final phase of works will recommence after the event (exact dates to be confirmed), however the towpath will remain open during these final works. Please note that there will be some restrictions in place. The final phase of works at Boroughmuir will commence onsite on Monday 10 April 2017 with an estimated programme of 10 weeks. Works will include upgrading the towpath to granite setts, towpath uplighters to light the crests on the bridge, installing power bollard at the mooring and graffiti removal.